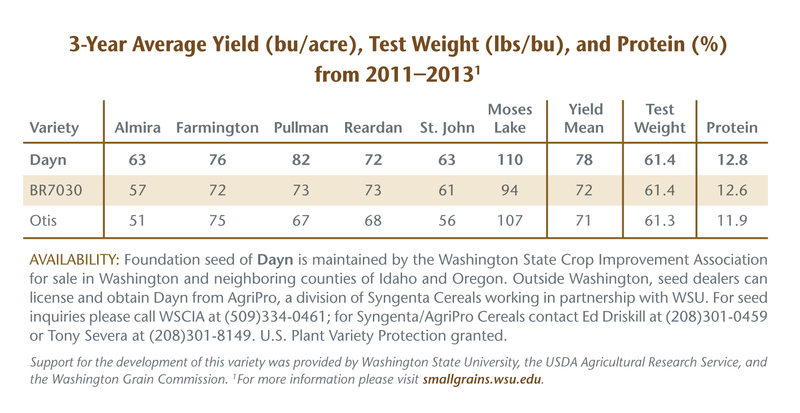 Dayn, the newest hard white spring wheat developed by Washington State University, delivers an average of 12 bushels more per acre in irrigated production areas compared to the next best comparison variety. This outstanding increase has been confirmed by extensive testing in irrigated systems by the University of Idaho and Washington State University over the past four years. Dayn’s test weight, grain protein content, straw strength, and maturity are consistently very good. The end-user quality of Dayn is desirable for both domestic and export markets. 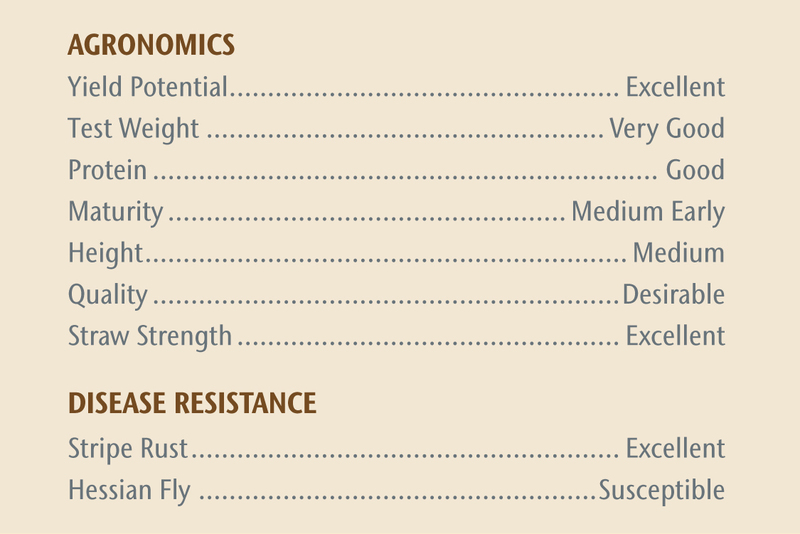 Excellent stripe rust resistance, proven under severe epidemics throughout the Northwest, protects Dayn’s pack-leading yield potential.